Langford, BC, January 23, 2018 – The Westin Bear Mountain Resort will play host once again to the 3rd annual Bear Mountain Bike Festival presented by the City of Langford from March 31 – April 1 2018. 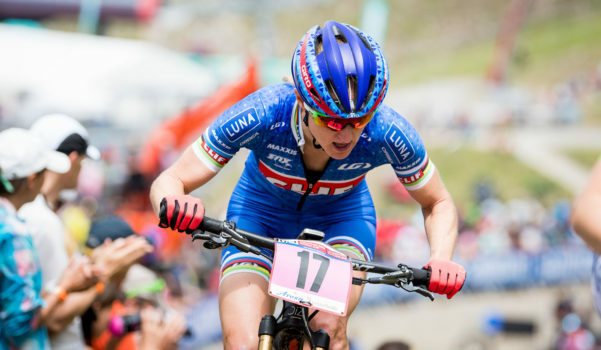 This year’s festival will expand on the successes of the inaugural event last year bringing world-class mountain bike racing to Vancouver Island. In collaboration with Cycling Canada, the City of Langford and Tourism Victoria, the event will showcase long distance and short track cross country racing, challenge events for enthusiasts, dedicated activities for kids and an on-site bike expo showcasing the top mountain bike brands in the industry. New for 2018 is the addition of a food truck concession area where participants and spectators will have an excellent selection of warm food and drinks. As the defending Bear Mountain Canada Cup event champion, Pendrel is very motivated to start the year on a high note. “I’m really looking forward to the Bear Mountain Canada Cup. I love having such high level racing in BC to start the season and really enjoy the riding and atmosphere at this race”. Last year’s 2nd place finisher, Emily Batty (Trek Factory Racing), will be looking to make a strong first impression as reigning national champion for the 2018 season, and attempt to take her first Bear Mountain Canada Cup win. Defending Canada Cup champion, Soren Meeuwisse (Trek Canada), who showed consistency year-round during the 2017 season will also be looking to defend her title as well. In the Elite Men’s race, Raphael Gagné has made it his routine to win the first Canada Cup of the season and is looking to make it three-for-three at Bear Mountain on March 31. Raph will have to compete against a tough men’s field, including 2017 Canada Cup winner Evan Guthrie and national champion, Peter Disera (Norco Factory Racing). Spectators can expect a strong field of young men and women in the UCI Canada Cup Junior series. The race will be wide open for the Junior Women as last year’s winner, Gwendalyn Gibson from Team USA and 2nd place winner Sidney McGill have moved on to the U23 category. For the first time ever, U17 men and women will be able to participate as an official Canada Cup category, and will be awarded a leader’s jersey as well as an official Canada Cup ranking. On Sunday, spectators are invited to come out to watch the Russ Hay’s XC Short Track Race. Each race will be 20 minutes long and will take place on a fast and flowing 1.5 kilometer course. Lap prizes or “primes” will be awarded to heighten the excitement and keep the race pace high. Racing will be available for the following categories: beginner, intermediate, expert, masters, and youth cyclists. Kid-friendly activities will also be offered on Sunday as part of the Kids Bike Day presented by Oak Bay Bikes Westshore.Families with kids aged between 6 and 10 are invited to take part in some fun skills training with former Canada Cup champion and certified coach Adam Walker from the Cycling Co. Children will learn the basics of mountain bike riding, try their skills on the obstacle course, and enjoy free snacks and prizes as a reward. Entry is free and is capped at 150 participants. Complimenting the entire race weekend will be food trucks and free coffee/hot drinks courtesy of McDonalds McCafé®. In addition, North America’s top brands will be showcasing the latest and greatest mountain bike models. Demo rides will be available on Sunday, April 1st.